According to a recent news report from CBS Sports, Montreal Canadien’s forward Zack Kassian was in a car accident where he suffered serious injuries. He was sent to the hospital following the accident and is now under the care of the team’s medical staff. Witnesses say Kassian was riding in the car as a passenger, along with a 20-year-old female driver and an 18-year-old passenger, when the accident occurred. One witness took a photograph of the vehicle, which had apparently crashed into a tree. Investigators are still trying to determine the cause of the accident and have said they will release more information when it becomes available. Kassian was acquired in a trade from the Vancouver Canucks this summer. He has appeared in nearly 200 NHL games and posted 66 points. The team said it would release an update on Kassian’s condition in the near future, including whether he will be available for opening night of the 2015-2016 hockey season. 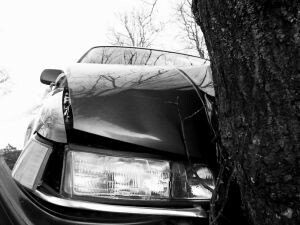 As our Boston personal injury attorneys can explain, one of the most important things to do following a serious car accident is make sure the police are called to the scene. This is important for several reasons. First, as a practical matter, it will prevent the other party from claiming you have committed a hit and run. It is unfortunately quite common for a person involved in a minor fender bender to ask the other driver if they are okay, and, after hearing that everything is fine, they go on their way. Then later, the driver who said everything was fine, and that it was not necessary to call the police, actually calls the police themselves and says they were involved in a hit and run and provides the officer with your license plate number. This is a common scam to which you do not wish to fall victim. Another reason it is important to call police is because it will create a record of the accident, and, if the other driver is at fault and issued a moving violation, that can be used as evidence during a civil car accident lawsuit, if there is a personal injury. It is also important, because if the officers determine there is any personal injury, they will likely request an ambulance. When EMTs arrive on the scene, they will take vitals and ask for a description of the accident. If they determine you have suffered an injury, they will ask if you would like to be taken to the hospital. This is very important, because you may not know the full extent of your injury. This is especially true when we are dealing with whiplash and other types of soft tissue injury. Going to the hospital directly from the accident scene will allow you get a complete diagnosis and start treatment immediately. The sooner you begin the treatment, the better your prognosis will be in many cases. There will also be a medical record, which you can provide to your personal injury to help prove your case.